In some real estate markets, fewer than one in 10 short sales close. 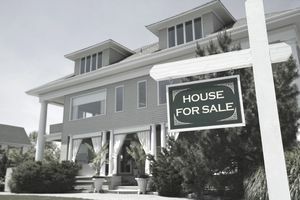 Just because that home is listed as a short sale doesn't mean it's really for sale (because it's subject to lender approval), nor does it mean it will sell at the advertised price. Here are six things you need to know before trying to buy that short sale. The short sales I list in Sacramento are all priced below comparable sales, yet they are priced in line with pending sales. Why? Because short sales take anywhere from two to four months, on average, to close, and pending sales will become the comparable sales at closing. Some short sales are priced ridiculously low. So low that the sellers' bank will never accept them. These types of listings receive multiple offers. But all is not lost. It will need to be priced near market value to get your offer accepted. If you're not prepared to pay above a superficial price on a lowball short-sale listing, then pass. If your offer is 20 percent or 30 percent of the mortgaged amount, it probably won't see the light of day on the negotiator's desk. A listing agent who is advertising a short sale but has never closed a short sale is a risky proposition for you. That's because it's up to the listing agent to submit the short sale package to the lender and negotiate. Your buyer's agent can't talk to the bank. Some listing agents hire outside companies to do their job, and the results of those negotiations are often sketchy at best. Ask yourself, do you want to risk rejection of your short sale purchase because the listing agent has no experience? When a short sale home comes on the market, the first offer will most likely be a tad below list price. The third offer will be slightly higher, maybe by $1,000 or $2,000. You want to make an offer that will beat the competition yet still be below market, or don't waste your time. Although REALTORS are required by the REALTOR Code of Ethics to treat everybody fairly, not every agent is a REALTOR. This means the short sale listing agent may decide to submit only one offer to the seller and withhold other offers. Withholding other offers could be considered to be a violation of the fiduciary relationship formed between the listing agent and the seller. The seller is entitled to receive the highest and best price, including all offers. Realize that even if your offer is submitted to the bank, as time marches by while waiting for short sale approval, another buyer could outbid you. Let the seller know if you are willing to raise your price if necessary.